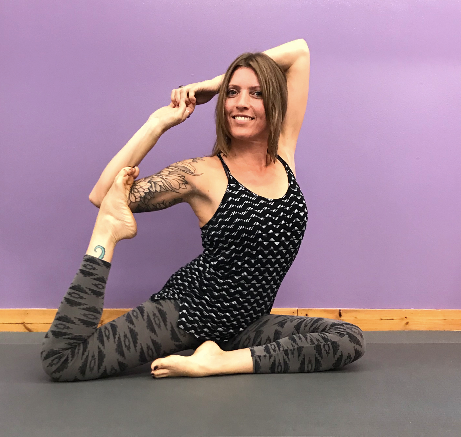 Kimburlee began practicing yoga on a daily basis in 2014. She transformed into her happiest and healthiest self and lost more than 30 pounds with yoga, meditation, positive affirmations and a vegetarian lifestyle. Kimburlee has a large family and is pursuing a bachelors degree in Psychology. She also volunteers for Rock Against Suicide and enjoys kayaking, hiking and cycling in her free time. Kimburlee believes in order to maximize our human experience we must challenge ourselves on a daily basis and yoga helps with this discovery process. She is eager to guide you on your mind, body and soul wellness journey.